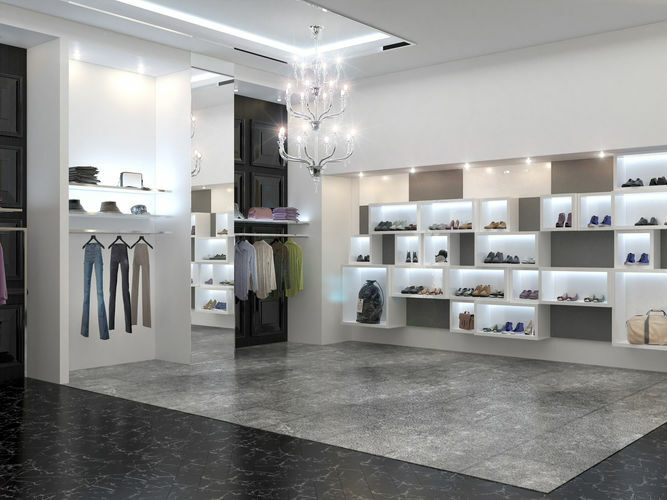 Clothing Store interior for Men and Women Render Ready 3D model. Typical store interior in mall made from architectural design. Colours and materials can be easy modify so this scene can be customize to fit your needs.